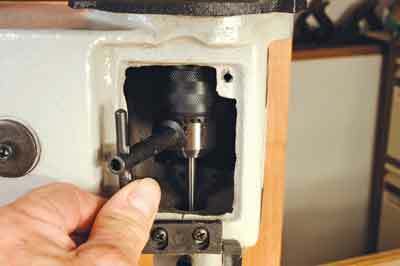 There are several ways of machining mortises: router, chain or chisel and each has its merits and demerits. Where you get involved in regular work that needs mortises cut, it deserves a proper solution that delivers a good quality finish without further work needed, such as squaring routed sockets. 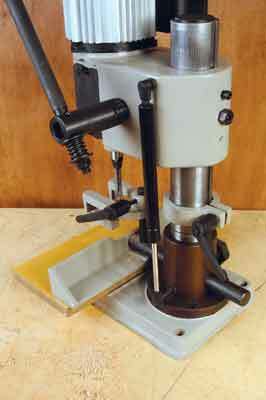 For a very reasonable cost it's well worth considering the Warco CM2 with its 6-12 x 75mm deep chisel capacity. It takes up limited space and can work over the end of a bench for large components. It features a geared column and piston return with vinyl type ridged pull-down handle. There is a top work clamp to stop components moving and the fence can be removed if needed. 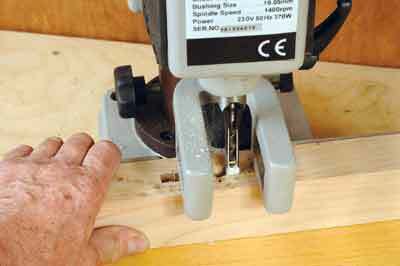 Workpieces can be clamped to the back of the fence and there is also a depth stop collar to limit the mortise depth. It is also worth noting that there is the larger, better specified CM3 floorstanding model if you need a more industrial solution. This particular machine is compact but heavily built so it can cope with some serious work and yet not take up a lot of space in the workshop, which is good to know. 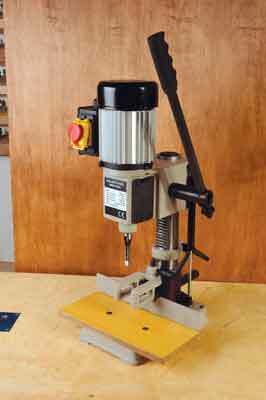 This is good for the occasional run of work if you don't need a regular mortising facility.